Rabbit Corneal Epithelial Cells (RbCEpC) are isolated from rabbit corneal epithelial tissue, which covers and protects the cornea from bacteria, and other harmful organisms and substances. RbCEpC are cryopreserved at the X passage and be cultured and propagated for at least X population doublings. 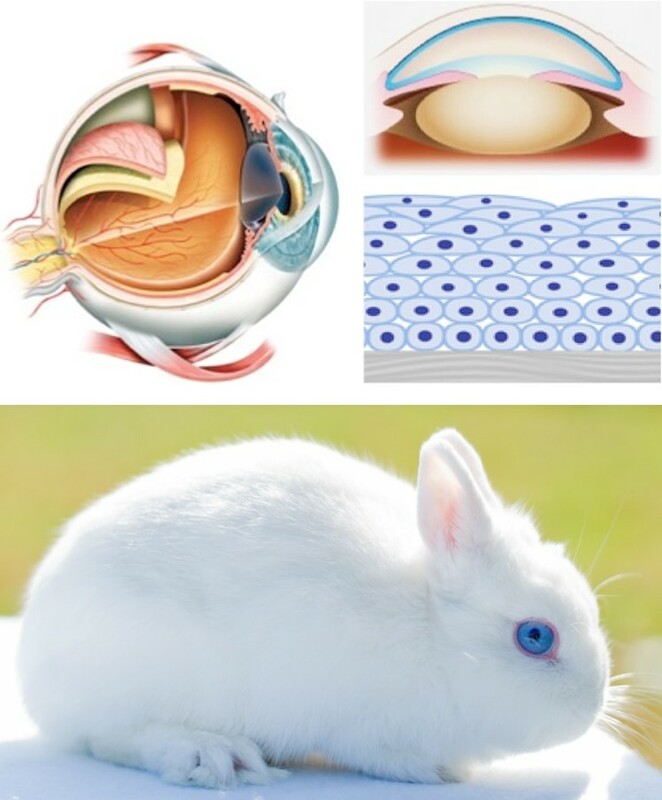 Recent publications demonstrate the utility of rabbit corneal epithelial cells in basic research and pharmaceutical drug discovery. 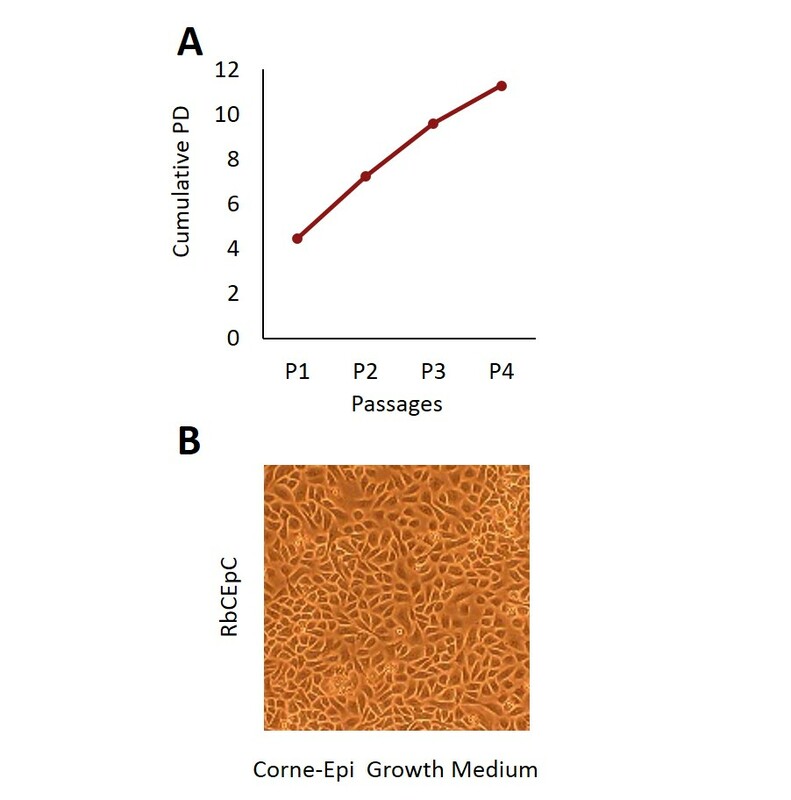 For example, RbCEpC have been used to study growth factor expression, interaction with stromal cells, and corneal development, homeostasis and pathology. Others employ the cells to assess the effects and safety and cytotoxicity of contact lenses, ophthalmic solutions and even antidepressants. RbCEpC provide a key cellular tool in developing treatments for glaucoma, ocular hypertension, viral infections and keratitis. (Click to Enlarge) Rabbit Corneal Epithelial Cells: RbCEpC. Cumulative population doublings (A). RbCEpC imaged in Corne-Epi Growth Medium (B).